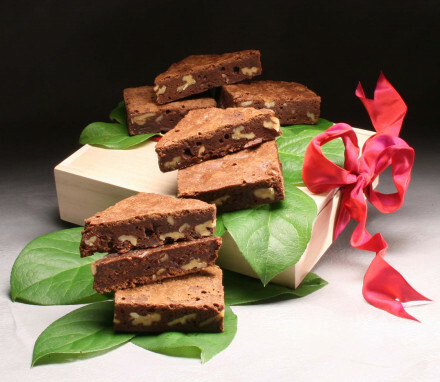 Express your deepest condolences for someone going through a difficult time with a gift of comforting nourishment. Our Sweet Sentiments gift baskets feature peak-of-the season fresh fruit, wholesome dried fruit and nuts, chocolates and rugelach. During a difficult mourning period, a kind gesture goes a long way. 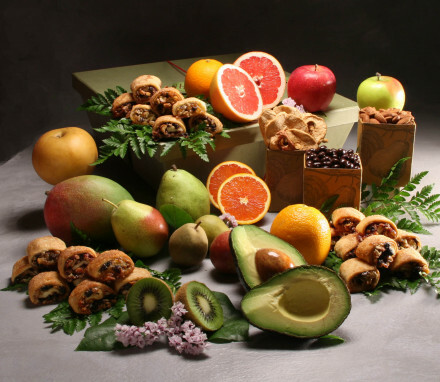 Sympathy gift baskets filled with fresh fruit, dried fruit, sweets, and nuts allow you to express your deepest sympathy and condolences with a comforting gift. Our sympathy gift fruit baskets are available in four sizes for you to choose the condolence basket that is most appropriate for the occasion whether the sympathy gift is for a friend, family member, or coworker. 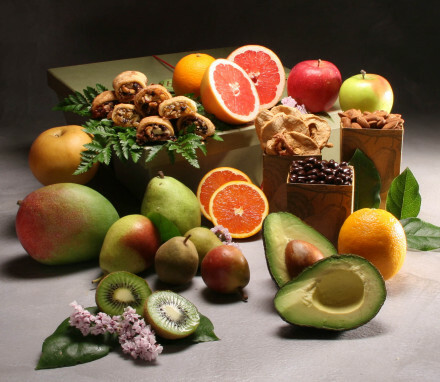 Many of our customers like to send larger bereavement gifts for funerals so that the fruit and other nibbles can be enjoyed by guests who stop by to pay their respects. 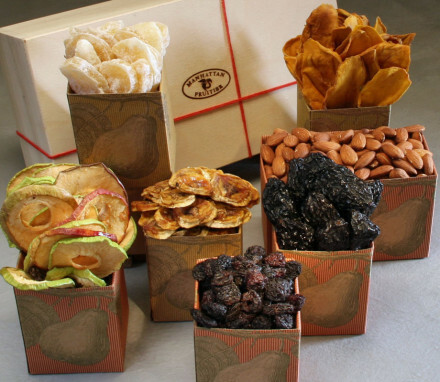 Depending on the size of the sympathy basket, we include pomegranate seeds that are dipped in dark chocolate, roasted almonds, dried fruit and rugelach (little twists of pastry rolled with preserves, raisins and walnuts) to offer a range of sweet and savory snacks. 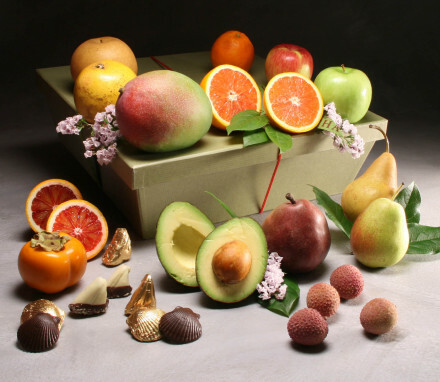 Sending a gift of fresh fruit is a well-established tradition for sympathy gifts or funeral gifts. Because of the fragility of fruit, and its short life cycle, fruit has become a metaphor for both the end and the beginning of life. In the Jewish tradition, where it is not appropriate to send flowers to express sympathy, our customers overwhelmingly choose our gourmet sympathy food baskets. 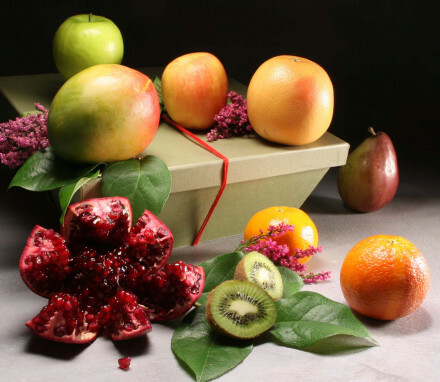 These Kosher, Shiva baskets are made with fresh fruit and other Kosher edibles to express your sentiments. We can hand deliver our sympathy fruit baskets in the greater New York area or ship them across the country. 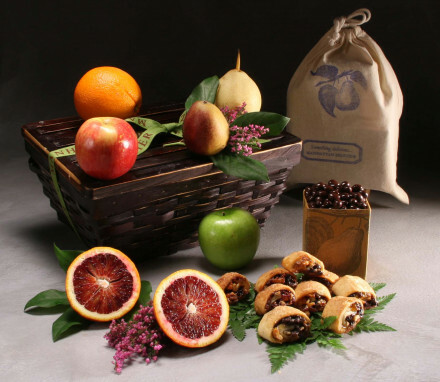 Shop Manhattan Fruitier today for bereavement gift baskets delivered nationwide!